Tatty Teddies are one of our most popular brands and we have a large selection of teddies, photo frames, albums and balloons for you to choose from. 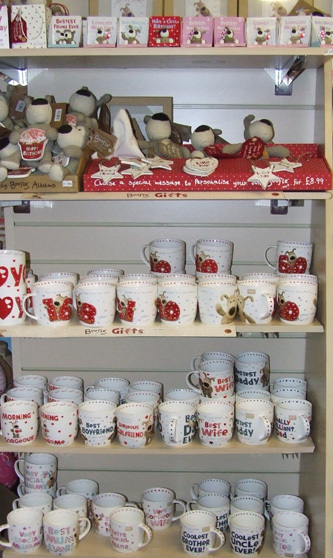 No one can resist Boofle the dog and here at Cards & Fancy Dress & Balloons Etc we have an excellent range of Boofle giftware including soft toys, mugs, signs, notebooks and pens. We have a large range of Pots of Dreams for almost any occasion. Our teddies in balloons make an amazing gift that is guaranteed to put a smile on the face of the recipient. We charge only £1 to put one of our teddies into a balloon or £3 if you bring your own teddy into us. 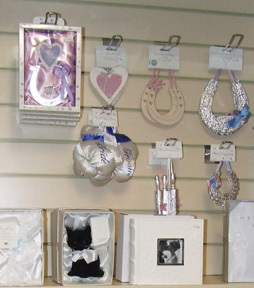 From lucky horse shoes and traditional wedding gifts to photo frames and albums you will be sure to find something to give to the happy couple. 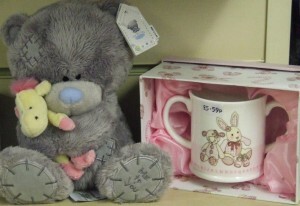 We have lots of baby gifts to choose from including Tatty Teddy gifts, gorgeous teddy bears, mugs and photo frames. 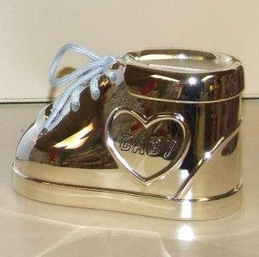 We stock Shudehill giftware and have a great range of silver frames for almost any occasion as well as baby & christening gifts.